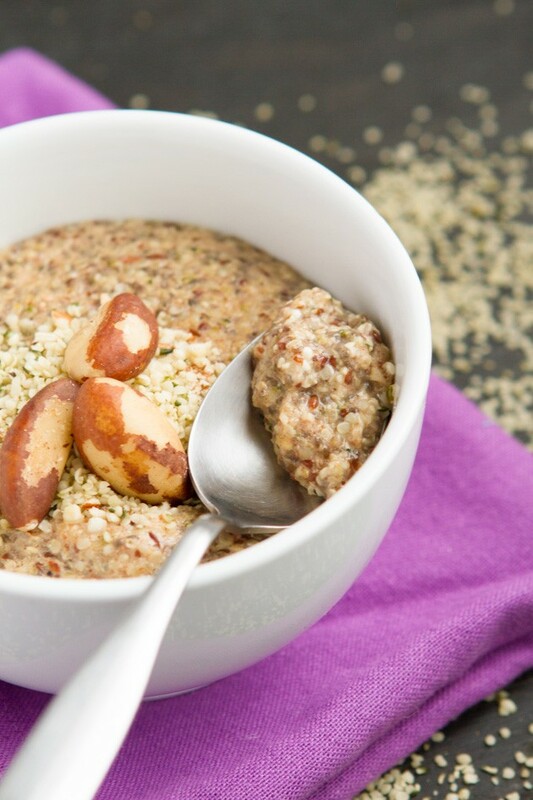 A grain-free porridge made with only nuts and seeds. Over 24 grams of fiber in every bowl, a hearty meal that’s gluten-free, dairy-free, vegan, low-carb and paleo. Making Ahead: I have not tried making this recipe ahead of time and eating it later. I’m not sure if it would get too sticky? 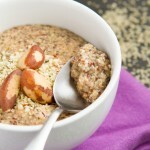 Nut-free: If you can’t do nuts, simply replace the ground almonds with crushed sunflower seeds or pumpkin seeds. Digestion: If you’re sensitive to nuts and seeds, you could try soaking the ingredients beforehand. Nutrition Information: If you are not practicing a 2-meal eating style as I am, feel free to divide this recipe into 2 servings. If you only eat 1-2 times per day, the nutrition from this one-dish-meal is perfection!